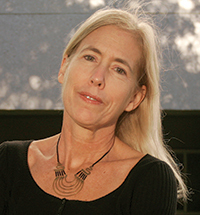 Dr. Mardelle McCuskey Shepley, B.A., M.Arch., M.A., D.Arch., is a professor at Cornell University and chair of the Department of Design and Environmental Analysis. She is Associate Director in the Cornell Institute for Health Futures. Previously she served a professor at Texas A&M University (TAMU) and was director of the TAMU Center for Health Systems & Design from 2004-2014. Mardelle is a fellow in the American Institute of Architects and the American College of Healthcare Architects. She is LEED and EDAC certified. Dr. Shepley has authored/co-authored six books, including Healthcare Environments for Children and their Families (1998), A Practitioner’s Guide to Evidence-based Design (2008), Design for Critical Care (2009), Health Facility Evaluation for Design Practitioners (2010), Design for Pediatric and Neonatal Critical Care (2014), and Design for Mental & Behavioral Health (2017). Her papers have been published in Healthcare Management Review, Indoor and Built Environment, Journal of Perinatology, Landscape Architecture & Urban Planning, Health Environments Design & Research, World Health Design, Children, Youth & Environments, Journal of Housing for the Elderly, Journal of Environmental Psychology, General Hospital Psychiatry, Building Research Information, Evidence-based Medicine, Journal of Applied Gerontology, Journal of Interior Design, Child Health Care, Senor Housing & Care, Environment & Behavior, Perceptual & Motor Skills, among other peer-reviewed venues. To enhance the link between research and practice, Dr. Shepley worked 16 years in practice prior to joining TAMU, and has served as a consultant to architectural firms regularly since 2000. She is founder of ART+Science, design research consultants. Research is equal parts art and science. Without that truth my decades-long fascination with the discipline might have dissipated. I see study hypotheses as brethren to design goals; in both cases the participant/observer is seeking to demonstrate the relationship between an objective and an outcome. Because of this interpretation, my research is characterized by its translational content; my colleagues and I generate data that can be applied to built projects. Many of my studies involve rigorous pre- and post-occupancy evaluations, as evaluation research is readily applicable to practice. Broad dissemination is also critical to creating this link. I have presented at more than 140 conferences and authored/coauthored several books as well as more than 80 peer-reviewed and invited publications. All of these presentations and papers are directed at both researchers and practitioners. The second criterion that motivates my research agenda is the satisfaction I receive from addressing social needs, in particular human health and well-being, and environmental sustainability. Regarding the former, my 2014 book, Design for Pediatric and Neonatal Critical Care, is a culmination of my experience in healthcare settings for children, and an extension of my focus on environments for the most vulnerable populations, e.g., intensive care units, infusion suites for cancer patients, emergency rooms, and facilities for persons with AIDs. More recently I have been conducting research and published a book, Design for Mental and Behavioral Health, on the impact of the physical environment on mental and behavioral health. This focus has been of interest since my first major research project, i.e., my doctoral dissertation on spatial needs of the elderly and children. Health-related books that I have authored and co-authored are Design for Critical Care, Health Facility Evaluation for Design Practitioners and Healthcare Environments for Children and their Families. This $50,000 ($25,000 matching grant) project was supported by the Foundation of the Academy of Architecture for Health, and involved interview, focus group and survey methods that explore behavioral and mental health facility needs. The result was an evaluation tool (PSED). We gathered data from Stars Health Care (California) and Cayuga Medical Center to evaluate their facilities using the PSED tool. This study examined the current use of nature by freshmen as a result of their childhood experience. We have completed a systematic analysis of the literature on greenspace and violent crime in collaboration with faculty at the Mann library. This review began with the evaulation of approximately 14,000 citations and resulted with a. summary of about 40 papers. We intend to complete the literature review in 2019. The next step is to conduct a study that examines the mechanisms that account for the positive impact of parks on crime reduction. This is a $620,000 two-year study to identify factors that affect sustainable building performance in Qatar. Three building types were addressed: commercial, residential, and educational. Research methodologies were: focus groups and surveys of facility management staff, metering of building performance, and performance simulations. The outcome will be to identify good practice procedures and make recommendations for building codes. We conducted an empirical analysis of a firm’s culture and environment with the objective of evaluating the presence and implications of collaboration in architectural practice and the role of the design office environment in supporting creativity. This study identifies features of the office environment that staff members suggest have an impact on creativity. Additionally, the group who gave higher evaluations to the work environment have a significantly higher proportion of people showing more creative performance. The North Shore Facility project was a pre- and post-occupancy study for a medical facility for persons with cancer. Participants included staff from Shepley Bulfinch, Architects, and architecture and landscape architecture graduate students from my programming class. This was the first in a series of evaluations of infusion suites, which together will provide data for a larger study. The research was published in Building Research & Information. This study, conducted in collaboration with Perkins+Will Architects and hospital nursing staff, involved the comparison of pediatric patient room designs using evaluation survey and PedsQL quality of life assessment tools. This research was presented at Healthcare Design 2012 and in in press with the Journal of Children, Youth & Environments. My research collaborators included a principal from Shepley Bulfinch, a cardiologist, a facility manager, and a doctoral student. The study examined the impact of views and daylight on medical errors, staff absenteeism, patient pain, and length of stay. New and old facilities were compared. The study was presented at the World Conference on Design and Health in Singapore and CleanMed in Chicago. Results were published in World Health Design and the Journal of Health Environments Design & Research. This study involved collaboration between the facility designers (Perkins+Will), the medical staff, students in my programming class, and doctoral students. The purpose was to develop pre- and post-occupancy evaluations for a replacement outpatient clinic, which was completed in 2009. Questionnaires were developed in three languages to support the diverse clientele. This study was presented at the Healthcare Facilities Symposium in September 2010 and a summary paper was published in the AIA Academy Journal. This study, which explored the relationship between sustainable design and evidence-based design, was a recipient of the 2007 AIA Upjohn Grant and a grant from the Boston Society of Architects. We used the following methods: focus groups, snowball expert survey, best practice survey, and design facility manager survey. The research was published in: World Health Design, Proceedings of the Architectural Research Center Consortium, AIA Report on University Research and, Health Environments Research and Design. This work was presented at the Clean Med conference in Chicago, Health Design 2009 in Orlando, and the ARCC annual conference in San Antonio, TX. In 2006, the principals at Shepley Bulfinch initiated a focused research program as part of the firm’s cultural practice. The program, which emphasizes post-occupancy evaluation, began with an evaluation/comparison of their old and new offices. The study assessed the effectiveness of the architectural intentions expressed during programming. Professional and administrative staff responded to surveys. The study was published in the peer-reviewed Journal of Interior Design. Research collaborators in this study included a neonatalologist, nursing director, and interior architect. The study was funded by the AIA and used behavior mapping to compare the interactions of families in single-family-rooms and open bay neonatal intensive care units. Design guidelines were generated regarding spaces that best support family interaction. The study was presented at Healthcare Design ’08 in Washington, DC, the High-Risk Infant conference in Clearwater, FL, the AIA annual meeting (2008) in Boston, and the ACSA conference in Quebec City. The research was published in The AIA Report on University Research. Shepley, M. (2014). Design for Pediatric and Neonatal Critical Care. New York: Architectural Press. Shepley, M. & Sachs, N. (w/editor). Mental & behavioral health design. In D. Battista & J. Wilhelm, Architecture and Health: Guiding Principles for Practice. New York, NY; Taylor & Francis/Routledge. Muenchberger, H. & Shepley, M. (Autumn, 2015). Buildings that heal: Contributions from neuroscience in designing the built environment. The Australian Hospital + Healthcare, 14-17. Shepley, M. & Danko, S. (2017). Design as healing: The next generation of research informed practice. Journal of Interior Design. Danko, S., & McCuskey Shepley, M. (2017). Design as Caring: Serving Special Populations.Journal of Interior Design,42(2), 5-6. Lee, J. & Shepley, M. (accept for 2019). The Green Standard for Energy and environmental Design (G-SEED) for Multi-Family Housing Rating System in Korea: A Review of Evaluating Practices and Suggestions for Improvement. Journal of Green Building, 14(2). Sagah Zadeh, R., Shepley, M., Sadatsafavi, H., Owora, A. H., & Krieger, A. C. (2018). Alert Workplace From Healthcare Workers’ Perspective: Behavioral and Environmental Strategies to Improve Vigilance and Alertness in Healthcare Settings. HERD: Health Environments Research & Design Journal, 1937586717729349. Sagha Zadeh, R., Shepley, M. M., Owora, A. H., Dannenbaum, M. C., Waggener, L. T., & Chung, S. S. E. (2018). The Importance of Specific Workplace Environment Characteristics for Maximum Health and Performance. Journal of occupational and environmental medicine, 60(5), e245-e252. Wang, Z. & Shepley, M. (2018). Can aging-in-place be promoted by the built environment near home for physical activity - A case study of non-Hispanic White elderly in Texas. Journal of Housing and the Built Environment. 33, 749-766. DOI: 10.1007/s10901-017-9584-z. Kanakri, S. M., Shepley, M., Varni, J. W., & Tassinary, L. G. (2017). Noise and autism spectrum disorder in children: An exploratory survey. Research in Developmental Disabilities. 63, 85-94. Shepley, M., Watson, A., Pitts, F.,Garrity, A, Spelman, E., Fronsman, A. & Kelkar, J. (2017). Mental and behavioral health settings: Importance and effectiveness of environmental qualities and features as perceived by staff. Journal of Environmental Psychology, 50, 37-50. Song, Y. & Shepley, M. (2015). Neonatal intensive care unit room type trends. Academy Journal, 8, 20-16. Gharaveis, A. Shepley, M. & Gaines, K. (2016). The role of daylighting in skilled nursing short-term rehabilitation facilities. Health Environments Research & Design Journal, 9(2), 105-118. Shepley, M., Watson, A., Pitts, F.,Garrity, A, Spelman, E. Kelkar, J., & Fronsman, A. (2016). Mental and behavioral health environments critical considerations for facility design. General Hospital Psychiatry, 42, 15-21. Sadatsafavi, H. & Shepley, M. (2016). Performance evaluation of 32 LEED hospitals on Operation Costs. Precedia Engineering, 145, 1234-1241. Nejati, A., Rodiek, S., & Shepley, M. (2016). Using visual simulation to evaluate restorative qualities of access to nature in hospital staff break areas. Landscape and Urban Planning, 148, 132-138. Sagha Zadeh, R., Xuan, X., & Shepley, M. (2016). Sustainable healthcare design: Current state, existing challenges and future directions for an environmental, economic and social approach to sustainability. Facilities, 34(5/6), 264-288. Nejati, A., Shepley, M., Rodiek, S. (2016). A Review of Design and Policy Interventions to Promote Nurses’ Restorative Breaks in Healthcare Workplaces. Journal of Workplace Health and Safety, 64(2), 70-77. Shepley, M. M., Smith, J. A., Sadler, B. L., & White, R. D. (2014). The business case for building better neonatal intensive care units. Journal of Perinatology, 34(11), 811-815. Shepley, M. & Song, Y. (2014). Design research and the globalization of healthcare environments. Health Environments Design & Research, 8(1), 158-198. Campagnol, G. & Shepley, M. (2014). Positive distraction and the rehabilitation hospitals of Joao Filgueiras Lima, Health Environments Design & Research, 8(1), 199-227. Sadatsafavi H., Walewski J., Shepley M. (in press). The influence of facility design and human resource management on healthcare professionals. Health Care Management Review. Sadatsafavi H., Walewski J., Shepley M. (accepted). The physical work environment as a managerial tool for decreasing job-related anxiety and improving employee-employer relations. Journal of Healthcare Management. Sagha Zadeh, R., Shepley, M. M., Williams, G. Eun Chung, S. S. (2014). The impact of windows and daylight on acute-care nurses’ physiological, psychological, and behavioral health. Health Environments Research & Design, 7(4), 36-62. Sagha Zadeh, R., Xuan, X., & Shepley, M. (accepted). Sustainable healthcare design: Current state, existing challenges and future trends. Facilities. Sadatsafavi H., Walewski J., & Shepley M. (2015). The physical work environment as a managerial tool for decreasing job-related anxiety and improving employee-employer relations. Journal of Healthcare Management. Lu, Z, Rodiek, S., Shepley, M. & Tassinary, L. (2015). Environmental influences on indoor walking behaviors of assisted living residents. Building Research & Information, 43(5), 602-625. Nejati, A., Rodiek, S., Shepley, M. (2015). The Implications of High-Quality Staff Break Areas for Nurses’ Health, Performance, Retention, and Job Satisfaction. Journal of Nursing Management. Shepley, M. & Song, Y. (in press). “Design Research and the Globalization of Healthcare Environments. Proceedings of the International Union of Architects, Durban, South Africa. Cerruti, M. & Shepley, M. (2016). The Effects of Spatial Enclosure on Social Interaction Between Cognitively Impaired Elders and Young Children. Health Environments Research & Design. Neo, J., Won, A. & Shepley, M. (2018). The impact of auditory disorder and visual disorder on message elaboration and self-regulation when presented with psychiatric help-seeking information. Proceedings of the annual conference of the Design Communication Association, Ithaca, NY, pp. 511-518. Rybkowski, Z.K., Munankami, M. & Shepley, M.M. & Fernandez-Solis, J.L. (2016). Development and testing of a lean simulation to illustrate key principles of Target Value Design: A first run study. Proceedings of the 24th annual conference of the International Group for Lean Construction. Like many designers, I have a profound passion for architecture, and have contentedly pursued this profession throughout my life. Although I have been a full-time faculty member for the last 25 years, I have been continually engaged in practice full-time or part-time – interweaving practitioner and academic lives. While working on my master of architecture degree, I was employed as an urban designer for the City of New York. I left New York for Central America where I became a registered architect in Panama, worked with the Ministries of Housing and Planning and managed a small design practice. While a doctoral student at the University of Michigan, I designed multiple homes and provided consulting services to a construction firm. When I finished my doctoral degree, rather than transition directly to an academic position, I practiced architecture for 12 years and periodically taught design and research courses at local colleges. Although I ultimately wanted to join a university community, I knew it was critical to have a strong background in practice and complete my professional registration. As it turned out, this 12-year period was transformative. While I had the education of an architect when I started, the office experience transformed me into the “real thing.” Working with small offices, I was engaged in every aspect of practice and participated in the design of multi-family residential, commercial and healthcare projects. I became registered as an architect in California in 1985. In 2006 I set up a design research company, ART+Science. During this period I initiated a relationship with a major Boston architectural firm that continues to this day. My work with architectural offices includes consulting on projects, conducting research, and lecturing to provide CEU credit. As a faculty member I have participated, with the help of my students, in more than 38 pro bono projects, which are listed in my CV. Regarding my credentials as a practitioner, I have maintained my LEED certification as the program transitioned and the requirements expanded. I am certified by the Evidence-based Design and Construction (EDAC) program and the American College of Healthcare Architects (ACHA). I am a registered architect and was honored to be inducted in 2011 as a fellow in the American Institute of Architects and as a fellow in the American College of Healthcare Architects. In addition to consulting on large healthcare and education projects, I constantly seek opportunities to practice architecture at a more intimate scale (residential projects) to maintain my skills and support my infatuation with design. I was selected to be an Engaged Cornell Fellow. In 2018 my students worked with the Ithaca Free Clinic to propose potential remodeling options. In 2017 my students and I worked with Montefiore Children's Oncology Unit and the Fingerlakes Cancer Resource Center in DEA 3304. In 2016 Wells, Yeon, Evans and I received a grant from Engaged Cornell, which I used in DEA 3304 in spring 2017. Also relevant is the work of the Cornell Institute for Healthy Futures, which involves engagement with industry representatives and the development of an internship program in association with the new minor. I began teaching as an adolescent, tutoring in low-income communities. A decade later I taught design studio while working on my doctoral degree. After graduation I practiced architecture in the San Francisco Bay area, where I was a visiting faculty member at Cogswell College and Canada College. In 1993 I joined the faculty at Texas A&M University (TAMU) in a tenure-track/tenured academic position. Since 2014, I have been a faculty member at Cornell University in the Department of Design & Environmental Analysis. Over the course of this journey I have taught and mentored thousands of undergraduate and graduate students and served as the chair and member of approximately 300 masters and doctoral committees. Teaching and design are similar in that both can be evaluated by the nature of their processes and the quality of their content/product. Regarding the process of teaching, most of my non-studio classes are divided into lectures and workshops; I share the course material and then have students apply the content while in class to aid in the inculcation of concepts. Design studio is less lecture-driven but has additional parameters – the frequency and directness of the teacher-student interaction requires a high level of trust and respect to help a student discover and expand their skills. Concerning class content/product, I use my courses to promote the social agenda outlined in my research statement. Similar to my research agenda, the majority of students on whose committees I serve focus on healthcare settings in the context of sustainability. All final study graduate thesis projects with which I am involved must meet LEED certification requirements. I am interested in the theoretical and formal processes associated with design theory as well as the technological components. The courses I have taught, which include design studio, programming and theory classes, tend to share this integration of the abstract and the concrete. Additionally, I integrate research principles in my design studio and architectural programming classes. I am EDAC (Evidence-based Design and Construction) certified and have provided course content to enable my students to achieve this credential. The success of these process and content features of my teaching style and agenda is supported by the quality of my course evaluations and the achievements of my students. I am particularly proud of my record mentoring students from a broad range of backgrounds: I was a mentor for the NAPSA Minority Undergraduate Fellows Program and the Excel Mentor Program, two initiatives designed to support and encourage “first generation” students in higher education, and have been nominated as faculty-mentor-of-the-year for international students. I also organized high school summer program that focused on recruiting students from lesser-represented communities into the fields of visual studies, architecture, landscape architecture, planning and construction science. Two critical components of education are interdisciplinary collaboration and interaction with the external community. Regarding links to the external community, I have supported faculty/student initiatives involving service projects, such as hands-on activities with Habitat for Humanity and conceptual design services for non-profit organizations. Most recently my students and I were engaged in pro bono projects for the city of West Liberty, Finger Lakes Cancer Resource Center, Montefiore Children's Hospital,Little Angels of the Honduras, and the Children’s Hospital of Nigeria. An appreciable part of a student’s college education happens outside the classroom: in student organizations, health and wellness programs, and community service.